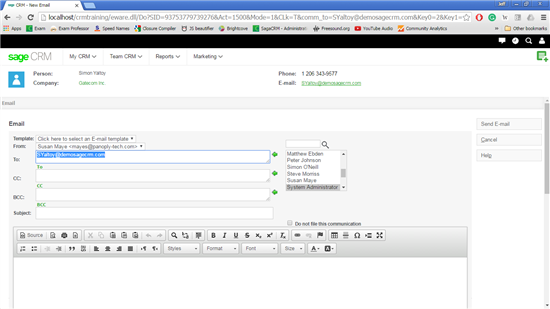 A customer had a requirement to be able to send e-mails to multiple recipients. They wanted specifically to be able to build and send ad hoc e-mails rather then Mass E-mails against a long list of people. 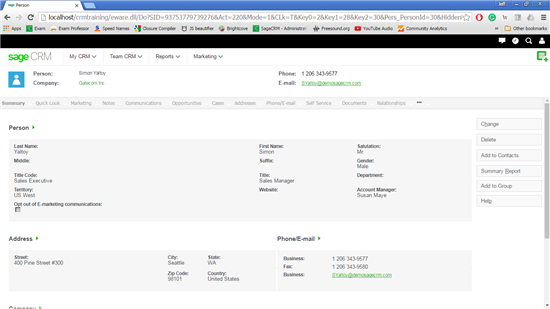 Below is the Person Summary screen showing a contact's details. By default if you click on the person's email address you get a screen assumes that you only wish to send to a single person. 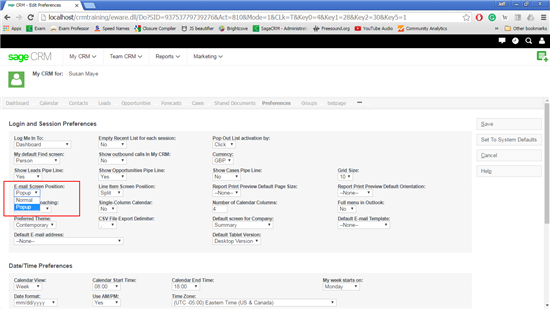 But if you change the user's preferences to work with a pop up window. The internal e-mail client now opens as a pop up. This allows great flexibility in working arrangements. In the screen below I have docked the screens within windows and I can now browse to other screens where emails are referenced. 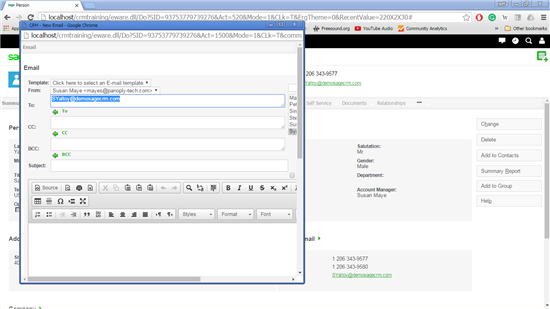 You can then add addtional addresses to either the CC: or BCC: recipient fields. Use CTRL-Click to add a CC: address. Use ALT-Click to add a BCC: address. 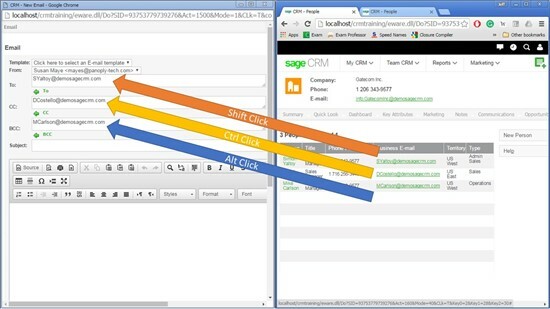 The email can then be sent and the communication will be added to all the contacts in Sage CRM. 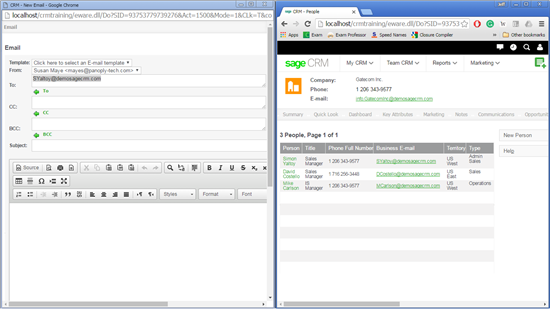 I Do have the problem that when I change a page in Sage CRM that it no longer works.